24 Hour Desk, Daily Housekeeping, NO Pets Allowed. Take a refreshing dip in our Seasonal Outdoor Pool and Heated Spa. Extended Channels, Fridge, Microwave, Coffee Maker, Hair Dryer. Rest and Relax at our Clean and Well Kept Hotel. This California hotel offers an outdoor pool and rooms with free Wi-Fi. The hotel is within 5 minutes' drive of the Mount Paso Rodeo and 20 miles from Disneyland. Microwaves and refrigerators are standard in Regency Inn hotel in Norco California rooms. The rooms are spacious and offer direct TV HBO and reading lamps near the bed. Guests of Regency Inn in Norco Ca. can relax in the outdoor pool. 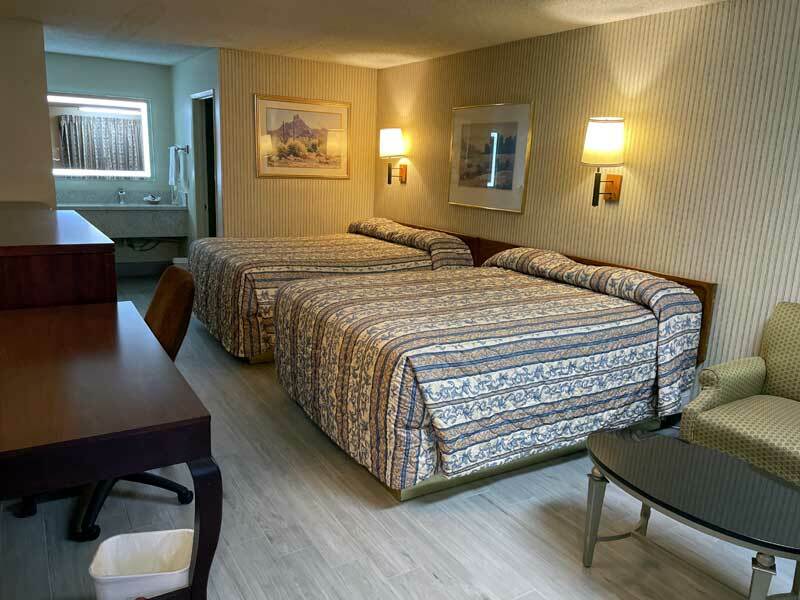 This Norco hotel is 7 miles from the Ontario Mall, which features shopping and dining. The Fontana Speedway is within 20 minutes' drive of the hotel. Join LLU SPH SA for an unforgettable experience. It is the 26th Festival of Lights at Riverside Mission Inn, which has been nominated for Best Public Lights Display in USA Today’s 10Best! Transportation will be provided from lot L between NIchol Hall and Daniel's Hall. Meet the bus at 5:20PM! The world's most comfortable bar crawl returns to RIVERSIDE! Slip on your Onesie, grab a beer and start prowling the town center for the most fun outing of the year! For the holidays we will have a special location! ALL vendors will be located in the 2nd floor in the Forever 21 wing along the railing directly in the flow of traffic. These 5 dates are premium shopping dates. Activities : Riverbed horseback rides, romantic sweetheart rides, horses for rent, wagon rides, and much more! Come journey through the forgotten wilderness of Southern California near Los Angeles and Orange County! Our rides are independent, individually instructed with our speciality in safety and authenticity. Beginners are welcome to start their horseback riding experience under the careful instruction of our trail guides, and experienced riders are encouraged to expand and practice their knowledge of horses and horsemanship with the help of our instructors. Airport : The City of Ontario and San Bernardino County formed the OIAA in August 2012 by enacting a Joint Powers Agreement. The OIAA provides overall direction for the management, operations, development and marketing of Ontario International Airport (ONT) for the benefit of the Southern California economy and the residents of the airport's four-county catchment area. Casinos : San Manuel is no distractions. No gimmicks. No fluff. And no filler. San Manuel is just what matters. Just what's truly important. Just what you're looking for. Just around the corner. San Manuel is raw, unrefined, undiluted adrenaline. It's the spirit of competition. It's the essence of what a casino should really be all about. It's all energy. All emotion. All rush. San Manuel is All Thrill. Dining : Black Horse Tavern & Grill is a family owned restaurant established in 2008. We are well-known for our specialty marinated Hanger steak, gourmet sandwiches and burgers. Golf : Hidden Valley Golf Club combines a unique design with unmatched natural beauty, giving players all the elements necessary to ensure the most memorable Orange County and Riverside golf experience. This incredible course contains remarkable changes in elevation, majestic views, and a challenging golf layout designed by architect Casey O'Callaghan. Hidden Valley Golf Club will impress golfers of any skill level. Government : The City of Norco is best known as an animal-keeping, equestrian-oriented community whose residents enjoy over 400 acres of parkland and one of the largest networks of horse trails in the nation, earning the nickname “Horsetown USA.” Our love for animals has created a close-knit community whose residents are active in local schools, churches and civic groups, but Horsetown USA is also a great place to conduct business. Hospitals : Corona Regional Medical Center is a 238-bed progressive acute-care facility and medical center that has been serving Corona and the surrounding region since 1933. We are a thriving community hospital, proud to offer the "high-tech" advantages of a big-city hospital and the personalized care of a hometown provider. Shopping : There is no better strategy for sustaining a vibrant business community and a healthy City of Norco than shopping locally. A portion of the sales tax generated by local businesses goes directly into the City's General Fund, which is used to maintain Norco parks, horse trails and streets, as well as fund essential public safety services. Shopping in Norco is one of the greatest contributions an individual can make to the City's financial security. University : Norco College is a two-year public institution of higher education, one of three colleges in the Riverside Community College District (RCCD). The Norco College campus is located approximately forty miles east of Los Angeles in the city of Norco, Riverside County, California. Established as a campus of the RCCD in 1991, Norco College was granted Initial Accreditation by the Accrediting Commission for Community and Junior Colleges (ACCJC) in January of 2010 and is the 112th independent college of the California Community College system. Events :4th of July Celebration!Join us as we celebrate our Nation's Independence the Horsetown USA way! FREE! Ingalls Park Parking Lot 2 Dress Red, White and Blue! Prizes awarded to the most patriotic horse and rider! Helmets required for riders under the age of 18. Saddles required. No stallions, no riding double. No steep trails, no river crossings. Sign-ups begin at 9a.m. 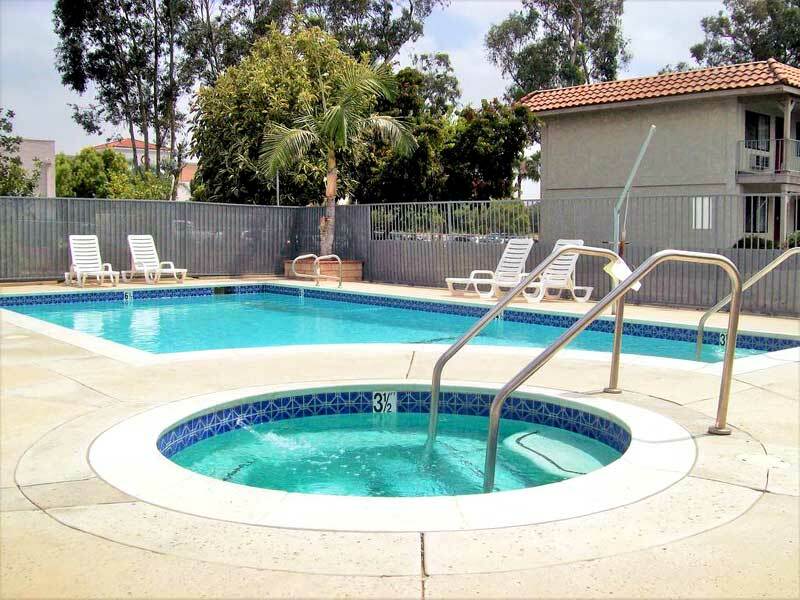 Welcome to our great hotel in Norco California with affordable rates and cheap budget discount lodging. Regency Inn welcomes you to our budget hotel in Norco California. 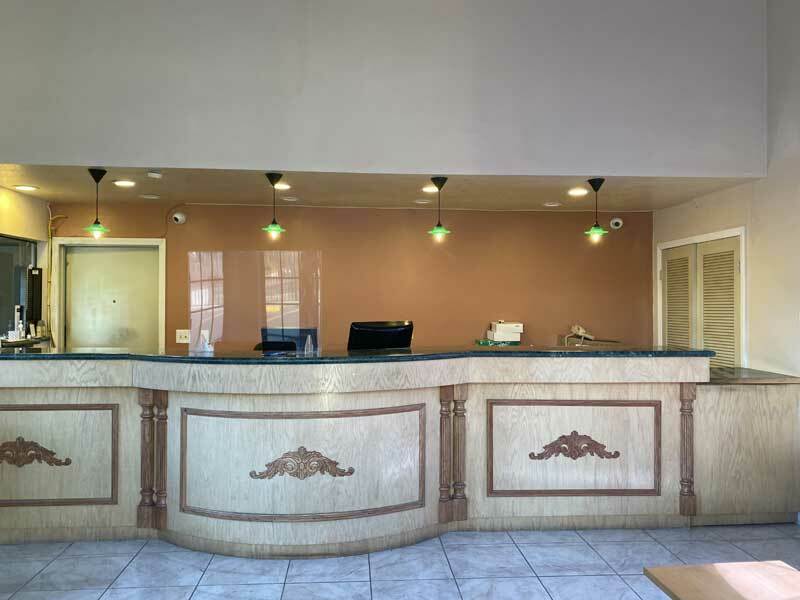 Regency Inn will provide you excellent customer service with great amenities in comparison to all Hotels and Motels in Norco California. Please visit us on your next stay in Norco California and let us provide you with 4 star hospitality for 2 to 3 star budget rates. 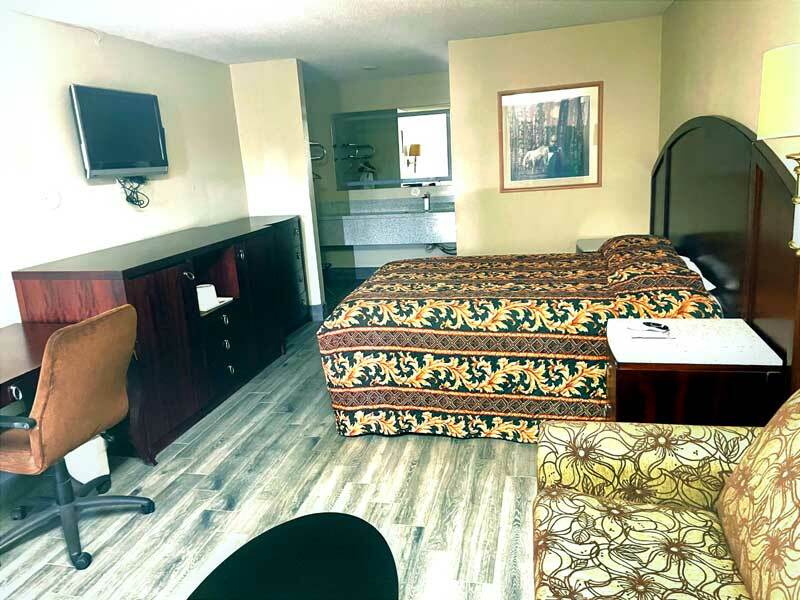 Regency Inn has been providing lodging and accommodations in Norco California for sevaral years and looks forward to providing our valued customer and business traveler with the best service in Norco California for Hotels and Motels in our local area.